Having been in the music blogging game for a solid 12+ years at this point, it's hard to not reflect on the bands that have come and gone. One such outfit were London based trio HONOURS, who were signed up to our pals at Killing Moon Records. As is often the way, things didn't quite pan out, but thankfully band member Steve Hughes is still making a similar brand of melodramatic pop that impressed us so much back in 2014. 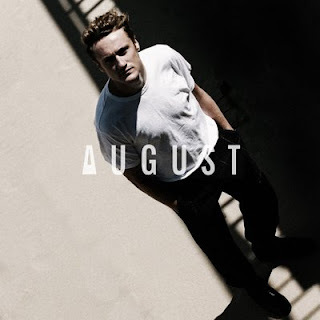 Hughes has been plugging away in his new AUGUST (the name of his old band's debut single) guise for sometime now, albeit taking a lengthy hiatus before returning this week with 'Losing LA'. The newest track sounds somewhat stripped back in relation to previous efforts such as 'Ghosts' and 'Torn', and inspite of the burdened lyrical content, retains the same kind of soaring essence that drew us to AUGUST in the first instance. Find more info at augustthemusic.com.